This website contains links to websites which are not maintained by the New York Boxer Club. Links to third party websites are provided for your convenience and information only. Third party websites are not under the New York Boxer Club control and we are not responsible for the content or accuracy of those sites or the products or services offered on or through those sites. Nor can the New York Boxer Club guarantee that sites will not change without our knowledge. 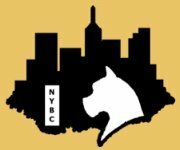 The inclusion of a link in this website does not imply the New York Boxer Club endorsement of the third party website nor that we are affiliated with the third party website's owners or sponsors.